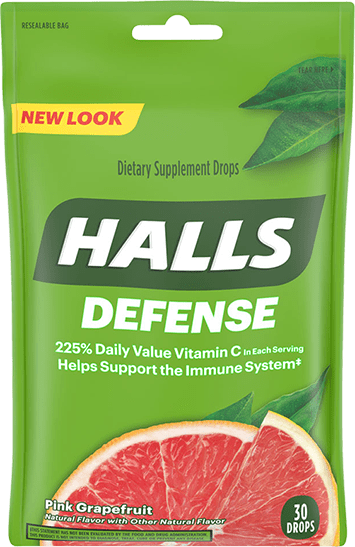 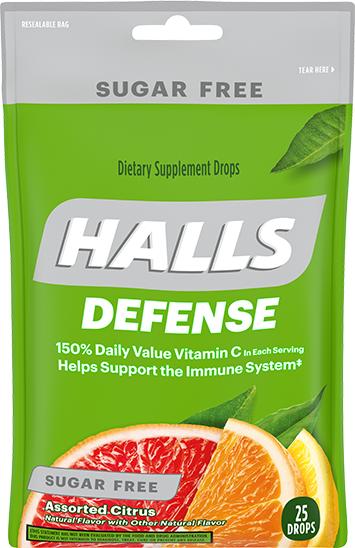 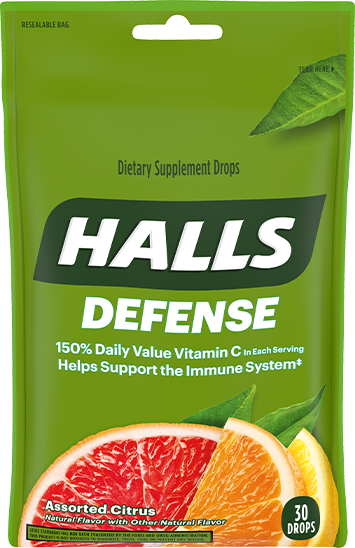 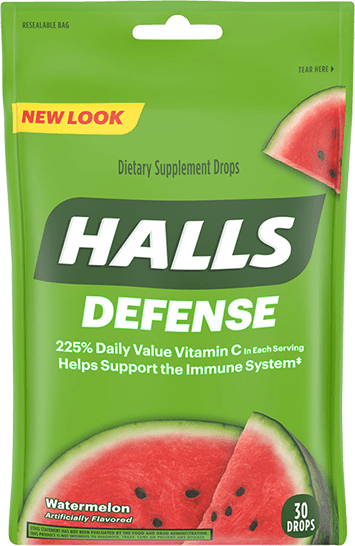 For whatever comes tomorrow, there’s HALLS Defense Dietary Supplement Drops. 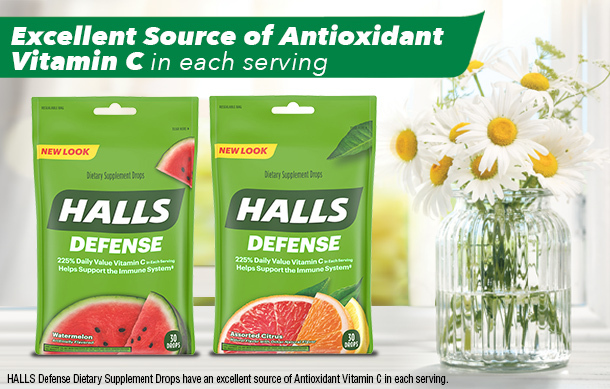 An Excellent Source of Antioxidant Vitamin C in each serving, HALLS Defense is available in a variety of flavors. 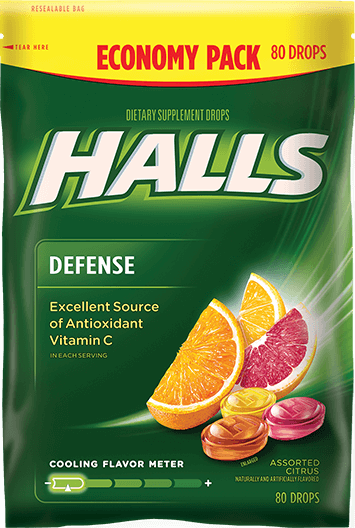 Glucose syrup, sugar, sodium ascorbate, citric acid, natural and artificial flavoring, ascorbic acid, beta carotene (color), soy lecithin, red 40. 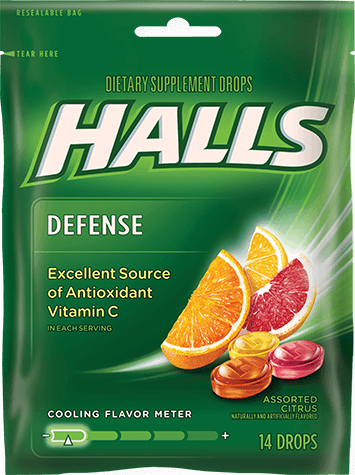 Assorted Citrus HALLS Defense Vitamin C Supplement Drops are available in the following flavors: Lemon, Sweet Grapefruit and Orange. 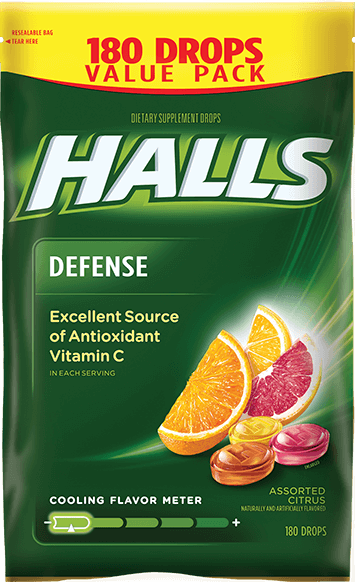 Assortment in each package may vary.